As I get packing lists made up (promise to share) and check to see if the kids’ cooler weather clothes fit I am starting to get nervous about our trip to Australia and New Zealand. Am I nervous about going to two awesome countries where the people speak English so I won’t even be stressed about language barriers? No. I am starting to move into full freakout mode because our first stop in Melbourne involves a little something called The Travel Bootcamp. 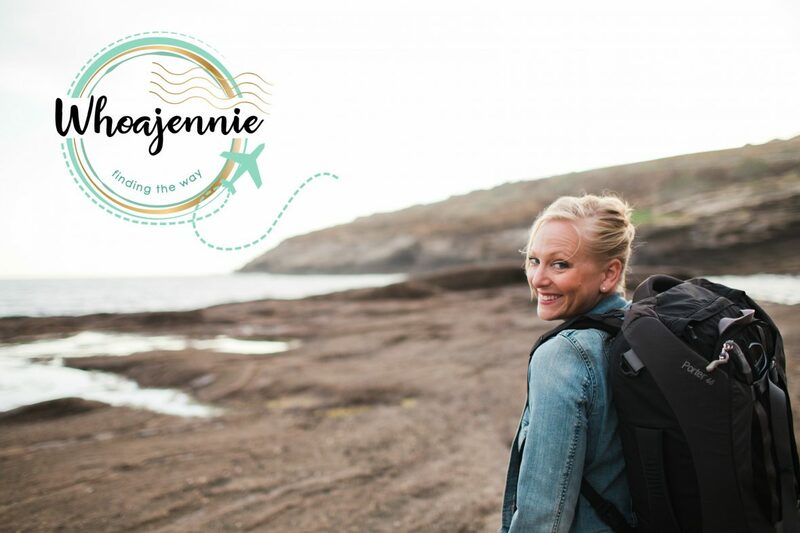 I first read about this opportunity in late December when I was researching the transition of Whoajennie to all travel instead of cluttered nonsense. It sounded AWESOME so I set about trying to sell the idea to my darling husband. He bought it! He wanted the whole family to go and then do some follow-on travel to Sydney and Auckland. Note: This is why our marriage works; I come up with crazy ideas and he says yes, sometimes even expanding on the crazinesss. I’m a fan. Now we are a month out from this conference and I am freaking. out. Scratch that; FREAKING. OUT. First I thought it was because I didn’t know what to wear. But see, I know I’m not that shallow. Then I thought it was because I had such a nightmare of an experience at Johns Hopkins when I went for a writing conference in 2012. Scratch that; I’ve grown since then. So I did some deep reflection, kidding, I just moved down my list of insecurities…but now I know it’s because I’m second guessing this idea that I can be a successful travel blogger with a start halfway through my 37th year on Earth and think people will be all, “WHAT?” (insert mental image of people pointing and laughing). In reality I’m super grateful I am almost 38. I know more now than I did half my life ago when it would have been more novel to be starting a blog and be adventurous. The thing is, I can use what I know to create a life for myself and my family that hinges on something pretty valuable; experience. When I reflect on what I’ve learned since I was considered young and especially in the years since I thought I knew everything I am incredibly grateful for the extra time under my belt and in the bags under my eyes. I think of defining life experiences that have gently woven themselves through many years to make me a stronger, better version of myself. I am grateful for the chances to do better and only compare myself to old personal records and not those of anyone else. Those experiences, be them painful or gloriously perfect, make me who I am today. When I was 27 I was pregnant with our first daughter. Burned into my memory is a day I was visiting my parents where they used to live in Arlington, Virginia. I was riding in the car with my dad down a street I’d been on a thousand times, seat belt awkwardly placed over my growing belly, when all of the sudden I was 20 inside my head. Maybe it was a song on the radio or the view from the passenger seat that threw me back nearly a decade but I quickly asked my dad if we could make an unscheduled stop. My dad isn’t one to blindly follow anyone (next to leader in the dictionary you can see his smiling face). Of course he asked me to fill him in on the details of my request. At that point I started quietly crying. I explained that I needed him to turn around because we needed to stop at a florist one block over. Through my snorts I explained that a long time ago I had purchased flowers for my grandmother from said florist and paid with a check. I was 20 and stupid and terribly irresponsible and the check bounced. The most embarrassing part is…I knew it would when I wrote it. For months afterwards I received letters from the florist about the check and I threw them all away. I hadn’t thought about it in many years but that day, driving down that street, I knew what I needed to do. There’s no good way to describe the heat that consumed my face and descended through my entire body as I walked in, bell ringing as the front door closed behind me. The man who emerged from behind the cooler full of floral arrangements was the same man I had purchased (stolen?) the flowers from 7 years earlier. Filled with shame and embarrassment I approached him and tried to explain who I was and why I was there. He smiled. He remembered me. I sobbed. We hugged and I handed him the 2 $20 bills. As I left the shop he called out, “You are going to be a good mother.” I couldn’t get into my dad’s car fast enough to collapse into a heaping pile of sobbing snot. To this day it makes me cry to think about that experience. I don’t want to tell stories out of school but I might not have been the only one in that car who got emotional. What does that story have to do with anything? I will tell you. Today I was driving down the street, writing my kids’ tuition check for art class at every red light I came upon and I heard a big voice in my head that said, “YOU ARE A GROWN UP.” Hell yes I’m a grown up. What kid writes checks to an art teacher to pay tuition for children who just a few hours earlier were asking her where to put the punctuation in a sentence for a writing prompt she had assigned them herself? Duh. I am so crushing this grownup thing and wouldn’t go back to being 20 again for anything in the world. NOT because being 20 is bad but because I was bad at being 20. And today, as Selena Gomez sang the words, “I had a dream….we were sipping whiskey neat” I started laughing. Not the silly kind of laughing a child does when you tickle them but a deeper laugh full of understanding that I have terrible taste in music and there is no way Selena Gomez drinks whiskey neat if she even drinks whiskey at all. The laughter turned into tears and I obscurely remembered how it felt to put the money in that florist’s hand and then I smiled, filled with gratitude for the depth of that experience. For the love of all that is good, I earned my almost 38 years fair and square and I won’t feel bad about them. Every smile line and sun spot has a story and most of them are pretty good ones if I may say so myself. That means that the only thing I need to think about when I walk into The Travel Bootcamp is how I plan to utilize all the information I will learn there from the three awesome women running it. I’m not going to worry about my striped skirt being too short (I’m pretty sure I’ve settled on the yellow and grey striped skirt but I’m not shallow or anything.) or whether anyone else there had to share their hotel bed with a kickboxing 7 year old the night before the conference. I am going to embrace the experience and spend no energy worrying or fretting about my age because it’s what got me there. Seriously, it was and is my ticket to today. And today is looking pretty good. Let’s be honest, I didn’t have the money to fly to Australia when I was 20 and I sure as heck didn’t already live half way there when I was 20. I didn’t have the “baggage” of a husband and two kids to bring along when I was 20 but I also didn’t have their love and support nor did I have their belief that I can do anything I set my mind to…so there’s that. And I don’t think airlines take kindly to bounced checks. Yes, I think when we fly to Australia in a month and I semi-confidently show up for The Travel Bootcamp I WILL act my age. I will act nearly 38 and I will wear my glasses so I can see properly and I will ask questions and take notes and when I leave at the end of the day I will inevitably depart with the idea that I am embarking on the adventure of a lifetime because unlike so much of my life that has evolved with passing time I still have terribly unmanageable expectations. But I promise to at least ACT my age. Photography in this post by Brittney Vier. I just love this and love your humor. Glad I signed up to get your emails!